A couple weeks ago I shared our Living Room Makeover [HERE] and in that I shared one of my simpliest, cheapest, and easiest DIY creations yet…the DIY Hoop Wreath. Over the last year these wreaths have become the trendiest form of minimalist decor on the market. I've been keeping this a secret for a while and I don't even know why! 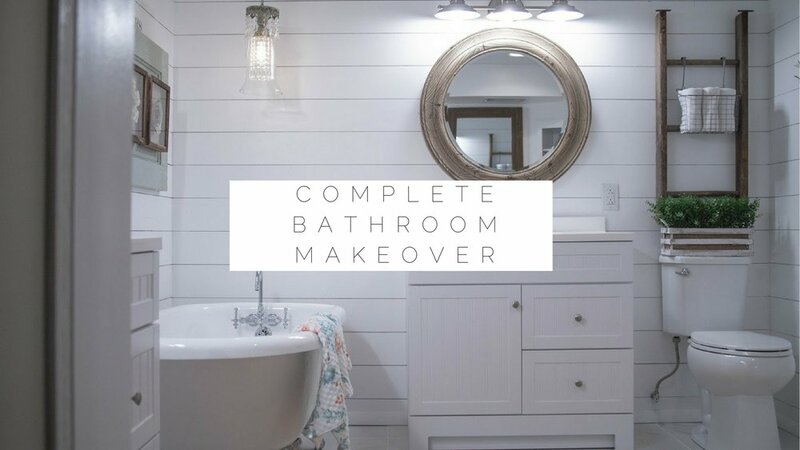 Probably because it all happened so fast and I honestly with projects still going on at my own home this just completely threw me (hence why you haven't see our bathroom remodel yet)! 2017 has been a year for the books, I am amazed at all that transpired in such a short amount of time. But what I’m most amazed by is our total kitchen renovation. Take a peak inside this farmhouse style kids room. All sources listed at the bottom of this post. Thank You For A Great Moving Sale! This past weekend I hosted my very own moving sale, full of my very own home decor and furnishings. But while it might have just been a "moving sale" to all of you, it was much more to me...you see, for the last 3 years I have been dreaming of opening up my own shop; a shop full of all the things that make a home feel like a home. We never could have imagined selling our home within 12 hours of listing it and we feel it only confirms our decision to move! Flip House Update: One More Week To Go! We have had a lot of questions and comments about our latest investment property and I'm happy to finally be answering all of them here. Yay!! We're making progress at our flip house! I've had a lot of people ask about how everything is going and what our projected timeline is so I'm here to show off a few pictures and answer all the questions I have gotten so far! I have people ask me all the time about how to achieve the perfect farmhouse look when it comes to decorating their house. I LOVE the farmhouse look for many reasons; one of them being, you can achieve this look with a very low budget. Plus...because this look is so trendy right now there are so many different retailers competing with one another to get you the best farmhouse product at the very best price. I know you have all been waiting for this special moment! So I'm going to let the pictures speak for themselves. But before I do...here are some of the specific square footage on the house since we've gotten a lot of inquiries.